BBC reports Jerusalem terror attack as 'three Palestinians killed,' President Trump's son stands up for the truth. 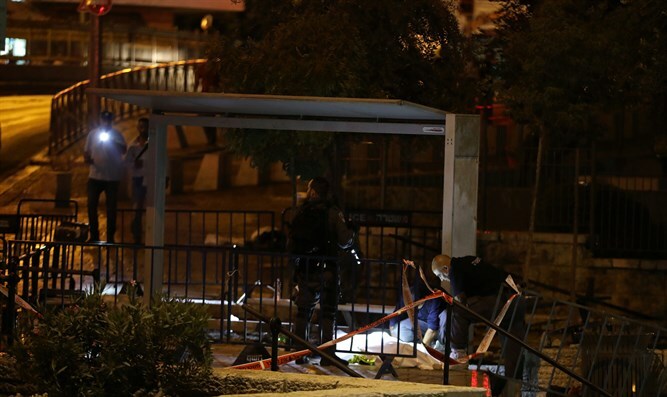 "Three Palestinians killed after deadly stabbing in Jerusalem," BBC tweeted on Friday night, following the combination stabbing-shooting attack which killed one Israeli policewoman and injured four earlier that day. On Friday evening, three terrorists carried out two attacks 100 meters apart. In one of those attacks, 23-year-old Border Police officer Hadas Malka was stabbed to death. In the other attack, the terrorists were eliminated before they managed to kill anyone. US President Donald Trump's son Donald Trump Jr. wrote, "You mean after they stabbed a female Israeli police officer to death… right? This is as close to being misleading as possible." "Need a new term for this nonsense. Sort of the opposite of victim blaming. How about Culprit Coddling? Maybe Criminal Cozying? Thoughts???" BBC's tweet included a link to an article whose title was changed to "Israeli policewoman stabbed to death in Jerusalem." The original article focused on the Arabs' deaths, and began by claiming that, "Israeli police have shot dead three Palestinians after a deadly knife attack outside the Old City of Jerusalem, in which a policewoman died." Israel's Foreign Ministry and the Israeli Embassy harshly criticized BBC.